Over 30+ musicians and performers from across the city joined us for this unique hybrid workshop! Featuring a presentation of need-to-know music industry legal basics by Adam Holofcener of MDVLA. Followed by a live music producer showcase with some of Baltimore’s hottest music producers including The Gold Room’s own Mighty Mark, Michael JR, Kariz Marcel, and Dcember Moon! The list of credits from the quartet isn’t a short one. From working with rappers Nipsey Hustle and 50 Cent to having their music featured on HBO’s Insecure, to traveling to Cuba, these talented producers have put in countless hours towards their craft to garner national and international respect, and all call Baltimore home. Each of them expressed their love for the city and that events like this are essential for the continued creative growth of Baltimore. Attendee’s also expressed gratitude and excitement at learning resources like MDVLA and BCAN exists, and offer this kind of content free of cost. Many thanks to our sponsors Pixilated and Pabst for helping to create such a fun and informative night for our guests. We can’t wait to do it again! 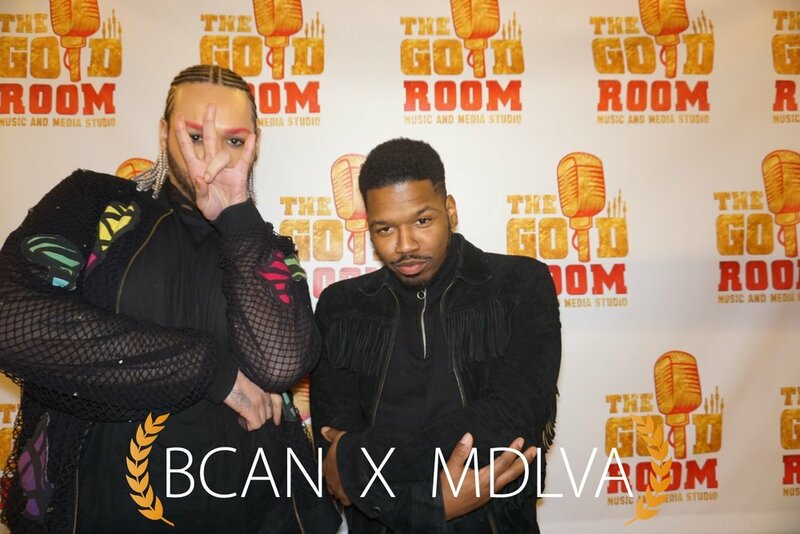 EventsBaltimore Creatives Acceleration Network March 8, 2019 BCAN Connect, Gold Rush Live, Gold Room, MDVLA, Mighty Mark, Michael JR, Kariz Marcel, Dcember Moon!